You live in the prehistoric time. Beat all the furball creatures by jumping against the stones beneath them. Play as a prehistoric caveman with a big club! Help Caveman get back in his cave on top of the white mountain. Collect the hidden bonuses. Have fun! Use the arrow keys to run left, right and jump. Use the spacebar to use a special item (if you have found one). Jump and hit the brick under an enemy to neutralize him. Then walk to him to throw him off the stage. Take a few steps to jump higher. 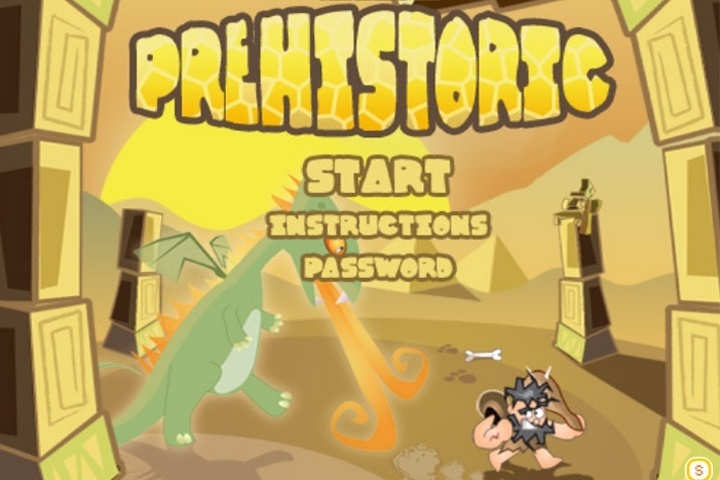 If you want to play Caveman in Prehistoric games online you have come to the right place! GamesLoon adds new Caveman in Prehistoric games every week. This is your game portal where you can find the biggest collection of free Caveman in Prehistoric games online. Do not forget to rate our Caveman in Prehistoric free online games while playing!